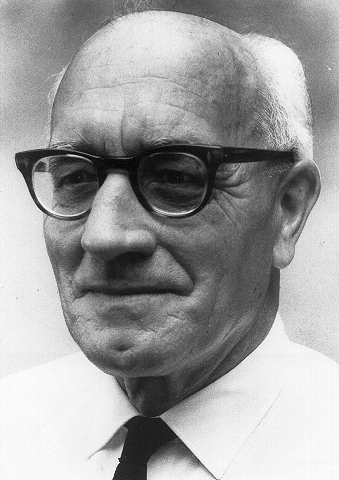 Thomas Gerald Room, Professor of Mathematics in the University of Sydney from 1935 until his retirement in 1968, died at his home near Sydney on 2 April 1986, at the age of 83. Born and educated in England, he came to Sydney in his early thirties and made it his adopted home. He was a classical geometer with unusual gifts of intuition and combinatorial skill, who will be particularly remembered for his profound insight into configurations in higher dimensional projective space. He and his slightly older contemporary, T.M. Cherry, were the elder statesmen of Australian mathematics in their time. He exerted enormous influence on the course of mathematics in New South Wales at both school and university levels and will be remembered by mathematicians, mathematics teachers and generations of students. He was born on 10 November 1902, at St. George, Camberwell, in the County of London, the family home being in Dulwich Village. He was the second son in a famity of three sons and one daughter. His mother, Emma Eliza Room (née Henry), was a schoolmistress. His father, Ernest William Room, O.B.E., was a company director and a prominent man in the community. Keenly interested in politics, he served as chairman of the local branch of the Conservative Party and, for a no. of years, as Mayor of the Borough of Camberwell. Mr. and Mrs. Room shared a full and busy life. They were interested in the theatre and were Gilbert and Sullivan fans. The home in Dulwich Village was a splendid place for a bright and energetic youngster to grow up in. The family atmosphere was warm and loving, and its members were devoted to one another. There was a bustle of life and activity, which stimulated and encouraged the children. Family holidays were taken at the seaside or in the country. The boys would go on long cycle expeditions into the countryside round London. These were early days of the Scout movement and Mr. Room was chairman of the Boy Scout Association in the district. The two younger boys, found one day parading outside a Scout meeting in makeshift uniforms with wooden army waterbottles slung over their shoulders, were promptly recruited as the founding members of a Wolf Cub pack. Gerald went to school in Dulwich, receiving his secondary education at Alleyn's School . It became apparent early that he was a gifted student with a flair for mathematics. School reports at the age of 13 speak of him as 'brilliant' and 'of the first order in capacity' in mathematics. A later report refers to his 'great powers of application' and predicts that 'great things in the learned world may be expected from this boy'. His school-days were clearly a happy time. He entered wholeheartedly into school activities, worked hard at his studies and was rewarded with outstanding success. At the completion of his schooling he was awarded an Exhibition to St John's College, Cambridge, to read for the Mathematical Tripos. Even after he had broken his direct links with Cambridge by moving to Sydney, he continued in spirit a devoted John's man. He visited St John's College on various occasions in later years and directed a stream of Sydney students there to take the Tripos in their turn. He was placed in the first class in Part I of the Tripos in 1921 and was a Wrangler (which means the same thing) in Part II in 1923. The Part II examinations were in two parts, Schedule A consisting of rather difficult problem papers on a range of pure and applied mathematics at a more elementary level and Schedule B, in which he was awarded a mark of distinction, of essay type papers on more advanced topics. Room, with his quick apprehension and capacity for hard work, probably took these testing examinations in his stride. A fellow geometer who sat for Part II a year or two later referred to them (with tongue in cheek) as 'a kind of continuous nightmare'. At the conclusion of the Tripos, he was awarded the Philip Baylis Research Studentship, enabling him to continue at St John's College and embark on research in geometry. The fruit of this period was an essay on 'Varieties generated by collinear stars in higher space', which won him the Smith's Prize in 1925. The Smith's Prize lists of the time include many names later to become well known in the mathematical world: T.M. Cherry, an Australian who was to return to a distinguished career at the University of Melbourne, was one of two prizewinners in 1924, and A.E. Ingham and M.H.A. Newman were among the seven prizewinners in 1923. The peak of this earlier phase of his career was his election in 1925 to a Fellowship of St John's College. However, instead of entering immediately upon the life of a Fellow, he turned aside to take up a very different appointment. This was to a Junior Lectureship in Pure Mathematics at the University of Liverpool, a position that he held until September 1927. This must have been a true baptism of fire for a novice lecturer. The staff in pure mathematics during the 1926-27 academic session consisted of a professor, a lecturer, a junior lecturer and an honorary lecturer, who were required between them to give thirteen three-hours-per-week lecture courses each term. (It is interesting to note that, a year or two earlier, the department had had to present a carefully argued case for the professorship, which had fallen vacant, to be filled). Room took on his job with characteristic energy. He not only lectured but found time to submit his first paper (on a higher-dimensional analogue of Schläfli's famous double-six of lines in ordinary space) and to take an active part in Rover Scouting and the work of the University Settlement. He returned to Cambridge late in 1927 to reside as a Fellow and to take up a new appointment as University Lecturer. Formerly much of the teaching in the University had been done by college lecturers, but under the new statutes of 1926 almost all formal teaching was taken over by the University and in consequence many new University lectureships were created. Room remained a Fellow until 1929 and only relinquished the lectureship on his appointment to a chair in Sydney in 1935. Like many of his contemporaries, Room was strongly influenced during his years at Cambridge by the famous geometer, H.F. Baker. A don of St John's College from 1888, Baker was a widely accomplished mathematician whose interests ranged far beyond geometry. Nevertheless, from the time of his appointment to the Lowndean Chair of Astronomy and Mathematics in 1914 up to his retirement at the age of 70 in 1936, he concentrated mainly on geometry, building up the vigorous school which bears his name. The six volumes of The Principles of Geometry, written in a highly individual style and bearing the motto 'Amplissima est et pulcherrima scientia figurarum', were a kind of manifesto. Baker was courteous in manner but a little formal, never assertive, yet had a strong character and a gift for imparting his love for geometry to his students. Room probably felt in tune with such a man, responding to his personality as well as his mathematics. Up to the early 'thirties, the Baker school was primarily concerned with the geometry of projective space. Room took a prominent part in its activities. In his later years at Cambridge, he carried out intensive research into the geometry of configurations in higher dimensional space. Besides a series of notes on particular configurations, he wrote fundamental papers on the freedom of manifolds and laid the foundations for his book on determinantal loci. The work of this period firmly established his reputation as a geometer of great insight and technical skill. During all this time in Cambridge (and for some years afterwards in Sydney), Room continued to be very active in the Rover Scouts. He loved hiking and being in the open air, and delighted in exploring the countryside. These activities provided him, too, with complete relaxation from the hours of concentrated thought on mathematics. But Scouting meant much more than this to him: it demanded leadership, organization and a willingness to help others. This side of Scouting he took very seriously. Notebooks of his are extant in which instructions for his Troop are set forth with careful diagrams and in minute detail. On such occasions most of us were properly dressed, but he often used to rush in, rather late, with shorts revealing bare knees because he, as a Scout-master, had been out with his boys. There seems to have some anxiety on Baker's part lest Room spend too much time on Scouting and not enough on geometry. A lesser activity at the time was membership of the university Cross Country Club. Members were divided into three groups, Room belonging to the Slow Pack - meaning perhaps that he enjoyed the exercise and the view in equal proportions. He loved music and sang in the choir both at Alleyn's School and in the chapel at St John's College. He had a particularly pleasant speaking voice, not loud but well-tuned and resonant. His love of music was later to be shared by his family and his musical talents were passed in in full measure to his children. Professor H.S. Carslaw retired from the chair of mathematics at the University of Sydney in February 1935. He had filled the chair with distinction. His books on Fourier Series and Conduction of Heat were well known and widely used. He took a deep interest in mathematics and science in the community at large and played an active part in framing the mathematics syllabuses for New South Wales secondary schools. My ideal is a fairly young Cambridge man - one of the young Fellows - with some teaching experience, keen, and with some personality. Such a man would never regret coming to Sydney. A Chair of Mathematics (Pure Mathematics) was advertised and Room was the successful applicant. In a true sense he donned Carslaw's mantle, having the same high sense of duty and interpreting the role of the professor in the same wide sense. Room arrived in Australia in the later months of 1935, travelling by ship and spending time in New Zealand on the way. He found conditions in the Sydney department very different from those in Cambridge. Besides himself, the staff of the Department of Mathematics consisted of an associate professor with primary responsibility for Applied Mathematics (E.M. Wellish), two lecturers (H.H. Thorne and R.J. Lyons) and two temporary assistant lecturers. The students were drawn from various Faculties such as Arts, Science and Engineering, and specialization in a single subject occurred only in the fourth undergraduate year. It is hardly surprising that even the best students (and some were in fact very good) were less well prepared in mathematics than their Cambridge counterparts. Room took active measures in the next few years to raise standards. The harder Course A in each year became more sharply distinguished from the easier Course B. Mathematics IV, which in the past had usually been taken simultaneously with Mathematics III in third year, was made a fourth-year subject. The Faculty of Science passed a motion that Mathematics at the Higher Standard be a requirement for matriculation into it. The staff was strengthened by the appointment of a new assistant lecturer (W.B. Smith-White) in 1937. Smith-White was the mainstay of the department in the area of analysis and differential equations throughout Room's tenure of office. Sydney is an ideal place for those who love the open air. Besides its harbour and beaches, the inlets of the Hawkesbury River and the bushland plateau of the Royal National Park are close at hand to the north and south, and the Blue Mountains can be seen on the western horizon. Room was captivated by this aspect of Sydney. He loved hiking in such spectacularly beautiful spots as Berowra Waters and on occasion used to sail on Sydney Harbour with his friend and colleague 'Dicky' Lyons. He enthusiastically continued his involvement with Scouting, serving as leader of the Sydney University Rover Crew until 1941. It was during this happy period of his life that he married. His future wife, Jessica Bannerman, was an Arts graduate of the University, whom he met through their common involvement in the Student Christian Movement and the University Settlement. They were married in November 1937 in Wesley College Chapel and flew to England for their honeymoon. A son, Robin, and then two daughters, Rosemary and Geraldine, were born of the marriage. All have distinguished themselves in their careers: Robin is both Adjunct Professor of Public Health, University of California, Berkeley, and Director of the Institute of Epidemiological and Behavioural Medicine of San Francisco, Rosemary an ophthalmologist and Geraldine a physician with special interest in rheumatology. ...my father was until the end of his days an avid gardener. Half an acre of camellias, azaleas, fruit trees, orchids, vegetables - a diverse assortment of plants and shrubs - were established and nurtured to maturity by my parents on a hillside of clay and shale. Often building and laying out the garden involved backbreaking physical work; all of us in the immediate family have vivid memories of the hard labour my father put into building the profusion of the garden - and into digging the swimming-pool - at 'High Walden'. Although Room was a prominent figure in the University and took a very active part in its affairs, he was perhaps basically a rather shy man who did not easily enter into intimate friendships. Within the circle of his family it was different and the sunny, relaxed side of his nature came to the fore. His marriage was ideally happy and the home he and his wife created gave warmth, love and encouragement to their children. ...it appears that practically all the loci about the projective properties of which anything is known either are included in the class of Determinantal Loci, or are closely connected with it. The book had taken 15 years to write and owed a debt to Baker and his school, which was gratefully acknowledged. Two separate honours were conferred on Room in 1941. The first was the award of the Thomas Ranken Lyle Medal for outstanding work in mathematics or physics. This was awarded at that time by the Australian National Research Council. The second was his election as Fellow of the Royal Society of London. A citation referred to his remarkable insight into spatial relations and made special mention of his general theory of the freedom of manifolds. From 1941 to 1945, he was engaged in military intelligence work for the Australian government. He never spoke about it himself but some information is available. Arrangements were made early in 1941 for a small group at the University of Sydney to study Japanese codes. They were Room (as leader), his colleague Lyons and two members of the Greek Department, A.D. Trendall and A.P. Treweek. In mid-1941, the Australian government set up a cryptographic analysis unit at Victoria Barracks in Melbourne. Its job was to work on the deciphering of Japanese diplomatic codes. The Sydney group was recruited into this unit by an intelligence officer, Captain T.E. Nave, the University of Sydney having agreed to its secondment to the Defence Department. Room was a senior member of the unit. Later in 1941, he went to the British Far East Command Bureau in Singapore to gain experience in British code-breaking methods. A letter written to the Registrar of Sydney University, Walter Selle, on Christmas Eve indicates that he had been hard at work learning Japanese: 'The two terms I have spent under Miss Lake have proved as useful in my present job as the twenty years' mathematics!'. Many islands immediately to the north of New Guinea were occupied by the Japanese forces in the first half of 1942. A network of Australian 'coast-watchers' remained behind the Japanese lines, reporting movements of shipping and aircraft by wireless to the Allied forces. At the request of the Australian Army, the unit devised codes for the coast-watchers. Room was among those who took part in this work. When General MacArthur set up his headquarters in Brisbane in March 1942, the American and Australian authorities agreed to form a joint signal intelligence section, called the Central Bureau, in conjunction with it. This embraced all armed services and many Allied nations, and its members possessed an extraordinary array of diverse talents. Its name is said to have come from Kafka's novel The Castle. Room was transferred to the Central Bureau, where he worked until the end of the war on the decoding of Japanese military signals. This was a particularly difficult task but one of vital importance to the Allied operations. His work was described as 'spectacularly successful'. Writing from Brisbane just after the end of the war, Room looked forward with relief to the 'fuller life of the University'. But in fact conditions over the next few years turned out to be very difficult. Returning servicemen came to the university in overwhelming numbers, so that lecture loads were extremely heavy and little time was left for research. Room sketched out some new results on Clifford matrices but only found time to write them up for publication in 1948, during a period of leave at the University of Washington. He deplored the lack of government support for universities at this time, observing that 'the State is enjoying unparalleled prosperity, and the University has been allowed no part in it'. The post-war years were a time of growth and change in mathematics at Sydney University. K.E. Bullen was appointed to a Chair of Applied Mathematics in 1946, and this was followed a few years later by the separation of the Department of Mathematics into a Department of Mathematics (Pure Mathematics) and a Department of Mathematics (Applied Mathematics). Room fully supported the new chair but strongly opposed the division of the Department into two, holding that mathematics is a unified whole, that the arrangement would be unworkable in practice and that it was directly contrary to assurances given to him at the time of his original appointment. Room and Bullen were passionately opposed on these issues, and relations between the two men remained formal thereafter. The rift between the two departments affected their joint activities and seriously weakened the voice of mathematics in university affairs. Room felt that he had been let down over the division of his department and in 1951 contemplated moving to a professorship at the University of Belfast. In the event, he decided to stay in Sydney and before long was engaged in a wide range of activities both inside and outside his department. Possessing a quick mind and active temperament, he was capable of working harder and more effectively than most people. He remained a busy man right up to his retirement. He ran a large department, delivered a full load of lectures and wrote books and research papers. He was active in university affairs, playing a leading role in the Faculty of Science. He worked with tremendous dedication and energy to promote the cause of mathematics in New South Wales schools. In 1952 Room was elected Dean of the Faculty of Science. He held this office until 1956 and later served a second term from 1960 to 1965. During his deanship, the Faculty took a no. of active measures, including the setting up of a Board of Studies, the publication of a Faculty Handbook and the inauguration of a B.Sc. in General Science. Out of the latter arose a highly successful course, Pure Mathematics for General Science, the precursor of the present General Pure Mathematics, a course which is broader but less deep than Mathematics I and is intended for students not continuing with mathematics after First Year. Room had a combination of talents which made him an excellent Dean. He thought clearly and quickly. He wrote fluently with natural style and had a gift for the telling phrase. He was an able administrator and a courteous but firm chairman. For almost the whole of his deanship (in fact, for the periods 1952-56 and 1960-63), he was also a member of the University's governing body, the Senate. As immediate past Dean of Science, Room undertook, in the early months of 1957, a strenuous tour of universities in India and Pakistan in order to study education in science and mathematics and to further co-operation with Sydney University. Later in the same year he began a period of leave in Princeton, visiting A.W. Tucker in the Department of Mathematics at the University and O. Veblen in the Institute of Advanced Studies. Tucker was keenly interested in mathematics teaching at both secondary and tertiary levels, and was a member of a special committee on undergraduate programmes set up by the American Mathematical Society. Room gave courses under the experimental programmes at Princeton and returned to Sydney with new ideas for his own Pure Mathematics for General Science course. At the Institute he was able to get down to serious work on Clifford matrices and spinor groups. This project had been planned in outline during his period as Dean and was shared with his research students, Alwyn Horadam and Beverley Bolt. Such periods of uninterrupted study were precious to him, for his other duties often left him with little time for research. One other piece of research in 1955 deserves mention. This is the half-page note in the Mathematical Gazette,which gave rise to the subject of 'Room squares' in combinatorial mathematics. From the mid-fifties to the early 'sixties, Room undertook some important duties outside the University and several honours were conferred upon him. In 1955 he was awarded the degree of Sc.D. by the University of Cambridge. The Australian Academy of Science received its charter in 1954. Room was a Foundation Fellow and helped to draft the original by-laws. He served as a member of the Council of the Academy from 1960 to 1962. The Australian Mathematical Society was founded in 1956. Room was a member of its Council in the formative years from 1956 to 1965 and was its President from 1960 to 1962. As Publications Secretary he took part in the negotiations to set up the Society's Journal and served as its first editor from 1959 to 1964. He insisted from the first that the Journal should be of full international standing and much of the credit for launching it on its successful career is due to him. Two reports published almost simultaneously in 1957 were to have a profound effect on secondary and higher education in New South Wales. They were the Murray report on Australian universities and the Wyndham report on secondary education in New South Wales. Both were prompted by urgent needs of the education system. Australian universities had lagged behind those in other comparable countries in a no. of respects such as staffing levels, salaries, accommodation, equipment and post-graduate studies. The no. of students receiving secondary education had increased since the war, and was about to rise dramatically as a result of the post-war 'baby boom'. The reports made detailed criticisms and put forward plans of action. The Murray report directly benefited mathematics at Sydney University. For the first twenty years of Room's professorship, there had been no funds for the much-needed expansion of his department. Now the situation changed. A new Department of Mathematical Statistics was set up under H.O. Lancaster. The three mathematics departments moved from their cramped quarters in the physics and agricultural science buildings into the new Carslaw Building. New staff could be appointed and it became feasible to replace the single subject Mathematics by separate subjects Pure Mathematics, Applied Mathematics and Mathematical Statistics in the higher years. Urgent action had to be taken to cope with the reaching and administration of the very large first- and second-year pass-level classes. J.L. Williams was promoted to Director in charge of this area and he was assisted by a new team of Senior Tutors. Room took the wise decision to appoint outstanding school mathematics teachers to these positions. In consequence, the large classes were expertly taught by staff who knew from first-hand experience the background of the students coming up from the schools and could deal with their problems sympathetically. The total establishment of the Department of Mathematics (Pure Mathematics) had increased from an original figure of 8 in 1953 to 17 by 1962 and 25 by the time of Room's retirement in 1968. The Wyndham report brought a no. of changes to school education in New South Wales. Secondary schooling had previously occupied five years, at the end of which a public examination was taken for the Leaving Certificate. The five years were now extended to six and the Leaving Certificate was replaced by the Higher School Certificate. At the same time, a comprehensive revision of the whole secondary curriculum was under-taken. Room, as Chairman of the Mathematics Syllabus Committee and Chief Mathematics Examiner for the Leaving Certificate, had already initiated a series of course revisions in 1953. He likewise played a leading role in drawing up the post-Wyndham school mathematics syllabuses. Room expressed some of his views on the reform of mathematics syllabuses at school and university in an article written in 1960. Pointing to the explosion in mathematics in the present century, he wrote that 'this great development in mathematics must be reflected in university courses, and reflected again, faintly perhaps, but without distortion, in the higher courses offered in the school'. He declared forthrightly that 'if nothing contributing significantly to knowledge and skill is to be lost by omitting some hallowed topic, then out that topic goes'. He expressed guarded support for the introduction of the 'new mathematics' of logic and set theory but added the caveat that 'we shall have to be careful not to throw away the substance of achievement obtained by accurate hard work, in exchange for the shadow of facility with a new technological jargon'. Room made several trips abroad to give lectures and keep abreast with current developments in mathematics education. He accepted an invitation by the American Association for the Advancement of Science to lecture at a no. of Summer Institutes for teachers of mathematics in 1962, and undertook a similar lecture tour again in 1966. Room and several other members of his department threw themselves energetically into the task of preparing secondary school mathematics teachers for the implementation of the new syllabuses. This involved much travelling and many lectures. These lectures led eventually to a book, The Sorting Process: a Study in Mathematical Structure, written jointly with J.M. Mack. Its purpose was to show readers with a background of school mathematics that what they had learned was just the beginning of an exciting journey into mathematical ideas. Room felt that it was his duty as a professor to lecture to the junior as well as the senior students in his department, and for many years he taught basic algebra and geometry to the first-year higher class. The course included a characteristically interesting development of spherical trigonometry by vector methods and there were light touches such as Monge's method of shuffling a pack of cards. He also gave various geometry courses to third- and fourth-year students. Titbits from his current research sometimes made their way into the fourth-year courses. What he sought to do in his lectures was inspire his students with a love for mathematics and convey to them his own special mathematical insights. When lecturing he would tread delicately back and forth in front of the blackboard, totally engrossed in his subject. His enthusiasm for mathematics was evident to all. On the other hand, the lectures rarely gave a connected account of their subject arranged in careful logical order. Sometimes rather little was actually written on the board - in one reported instance, just the single word 'curve' . The lectures were certainly difficult and a good deal of effort was required to master them. Many students got little benefit from them but others did the hard work required and have expressly said that they found them the most fascinating and rewarding of all their mathematics courses. Room's personality powerfully influenced the Pure Mathematics Department and many of his students and colleagues have retained vivid impressions of him. A brisk and energetic figure, frequently clad in a short white coat to keep off the chalk dust, he might be glimpsed hurrying on his way to a lecture or seen in a rnore relaxed mood at departmental morning tea, enjoying the exchange of opinions. As Head of Department, he held the reins firmly but was universally respected for his fairness and intellectual integrity. In arriving at a decision, he was always willing to listen to and consider someone else's point of view, and he was not ashamed to change his mind in the face of new evidence. He was unfailingly courteous and considerate. He would put his own point of view with clarity and good humour, seeking to persuade by reason. To browbeat or bully an opponent was completely foreign to him. By nature Room was a rather private person, who rarely showed his inner feelings in public. Relations with his staff, though invariably friendly, therefore remained a little formal. But there were occasions when the other side of him was seen. To members of staff at times of personal crisis or misfortune he showed the greatest kindness, sympathy and understanding. This was always done quietly and unobtrusively, so that most people remained unaware of it, but on those involved it made a deep impression. On his retirement at the end of 1968 Room was presented with a scroll listing those closely associated with him in his department since 1935 and including all his honours graduates. Another mark of recognition that he greatly appreciated was the inauguration by the Mathematical Association of New South Wales of the T.G. Room Award. This consists of a monetary prize and a medal engraved with his portrait. It is awarded annually to the student who gains first place in the Higher School Certificate mathematics examination. Room retained his energy and zest for life after his official retirement. For another six years he continued to be actively involved in mathematics, writing research papers, completing a book, Miniquarternion Geometry: an Introduction to the Study of Projective Planes, with P.B. Kirkpatrick and maintaining a lively interest in undergraduate mathematics. In 1969, after a brief interlude as part-time lecturer in his old department, he travelled to England to Westfield College to work on projective planes. He spoke of himself as 'moving out of ordinary geometry, and into the non-Desarguesian wilderness'. In 1971 the Open University accepted its first students. Room worked for a year as a Staff Tutor in the North West Region. This was a strenuous job that involved travelling around to various regional study centres in all weathers. After this, Room spent a further two years working in the University's headquarters at Walton Hall in Milton Keynes. Here he helped to find time for further research on projective planes. Room returned to Australia in 1974 and thereafter lived quietly at his home in St Ives, briefly appearing in public to present the T.G. Room Medal. In 1982 a function was held at Sydney University to honour his 80th birthday. James Hirschfeld and George Szekeres gave talks and afternoon tea was taken in between, an echo of the tea-parties of sixty years earlier. His death came unexpectedly but without suffering on 2 April 1986. The authors thank the many people who supplied information, made helpful suggestions or assisted them in other ways. They are specially indebted to Mrs. Jessica Room, Professor Robin Room, Dr. John Mack, Dr. Philip Kirkpatrick and Emeritus Professor Oliver Lancaster, FAA. W.P. Hirschfeld is Reader in Mathematics at Sussex University and G.E. Wall Professor of Pure Mathematics at the University of Sydney. This memoir was originally published in Historical Records of Australian Science, vol. 7, no. 1, 1987. This version of the memoir has omitted a five page section detailing Room's mathematical work, included in the original, which was unable to be reproduced due to the font limitations of on-line publishing.